Australian privacy is being eroded, In mid-October the metadata of all internet and telephone communications will begin to be logged in Australia. If that wasn’t bad enough the latest announcement that authorities down under will now be applying facial recognition technology to millions of photos they have access to is sure to send chills down Aussie spines. While all governments move towards greater surveillance in the name of national security, Australia is becoming one of the leading nations invading the privacy of its own citizens. The project costing a reported AUS$18.5 million is what Australian authorities are calling their latest national security weapon. Facial recognition technology to use CCTV stills. The National Facial Biometric Matching Capability also known as the eerily sounding “The Capability” will allow authorities to scan through databases made up of over 100 million photographs of Australian citizens. These images come from official passport and drivers’ license photos plus stills taken from CCTV around the country. Facial recognition works in a similar way to the fingerprint system because every face is unique especially around the eye and nose area allowing those with access the ability to cross reference and check almost instantly against the huge database. The numbers of citizens accessible via the database will be huge and in 2010 it was reported that 1 in 2 Australians hold a passport, added to the number who have a drivers’ license it makes for stark reading. Even those Australians who don’t own a passport or drivers’ license can’t escape the database as they’re likely to have been caught at some point by CCTV. While moving video won’t be available via the database stills taken from CCTV will. Privacy campaigners in Australia have criticised the project after it was revealed that there has been very little if any public consultation. One such privacy advocate, Cyber security analyst Patrick Gray was clearly bemused at how invasive the new system is questioning why “there’s been no discussion around this” claiming that alone is “really weird”. The Australian Justice Minister tried to alleviate fears stating that the project has been considered by an independent privacy assessment and the aim of the system is to combat identity fraud and protect the public and nation from threats of terrorism and organised crime. The law is clear and faces can be scanned at will without the need to inform the member of public that such action is taking place. Privacy campaigners are clearly concerned highlighting the fact that the system will become a staple tool in the arsenal of law enforcement. While passport and drivers’ license photos are required to be relatively clear, images taken from CCTV are often less so and could be problematic when compared. Criminology expert Adam Molnar of Deakin University is concerned about the error rate of the technology and how images taken at bad angles or with poor lighting could lead to a false identification. Initially the Australian Federal Police, DFAT and the Immigration Department will be the main users of the system although it has not been ruled out that if other departments have a lawful need to utilise the system then they could essentially be allowed. With Australia on a path to log user metadata and the latest revelations of facial recognition technology being dispatched nationwide it puts Australia in a good position as one of the most privacy invasive in the world. 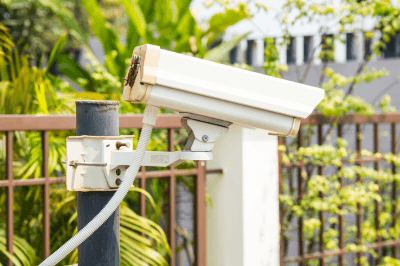 Often the UK or US could be seen as more invasive but with the latest moves Australians should rightly be worried about their privacy as big brother is certainly watching.